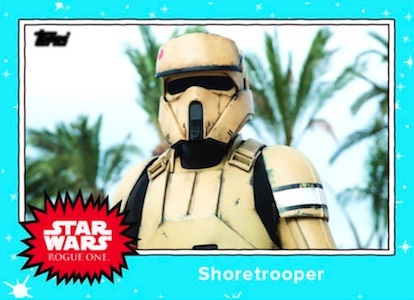 Presenting collectors with more card-based details for Rogue One: A Star Wars Story, 2016 Topps Star Wars Rogue One Mission Briefing Monday builds on the initial Rogue One card set, but with an on-demand approach. 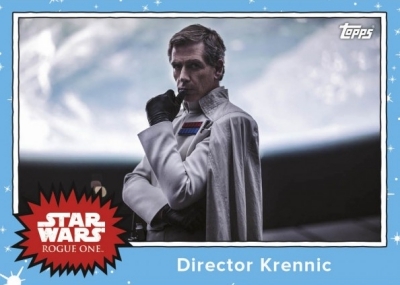 Featuring a five-card set issued each Monday until the movie releases on December 19, the 2016 Topps Star Wars Rogue One Mission Briefing Monday set is exclusively sold through the Topps site. 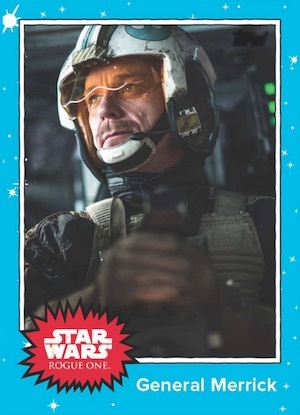 The print-to-order cards go into more detail than the main Mission Briefing release, complete with different images and biographies for main characters, vehicles and locations. 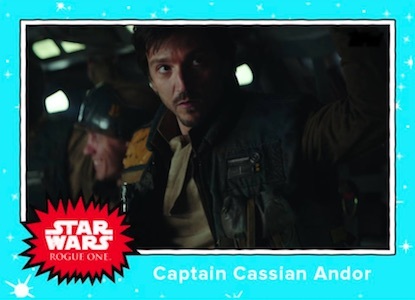 In honor of 1977 Topps, the retro design features a Rogue One stamp in red combined with a light blue border sprinkled with stars. 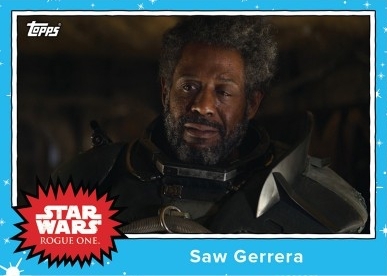 The old school look is also similar to the Base Series 4 design in the Star Wars Card Trader (SWCT) digital app. 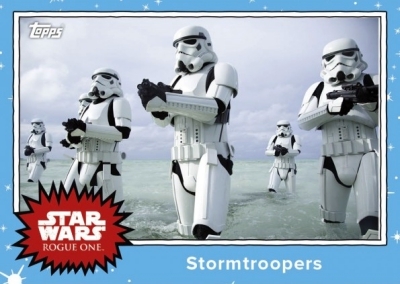 Normally a five-card set, plus a bonus card in week one, the 2016 Topps Star Wars Rogue One Mission Briefing Monday pricing is $19.99 with free Smart Post shipping. 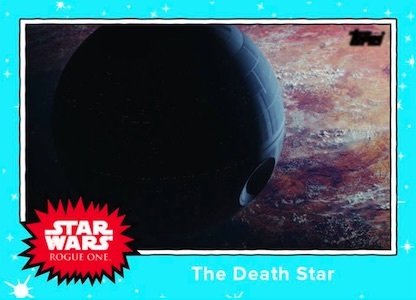 Three-set bundles are $49.99. 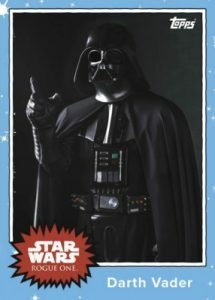 Once the sales period has ended, the final print runs will be announced and added to this guide. 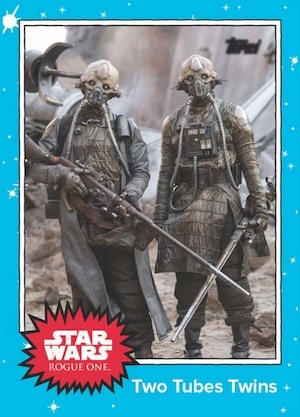 These cards will never be included in any other physical form. 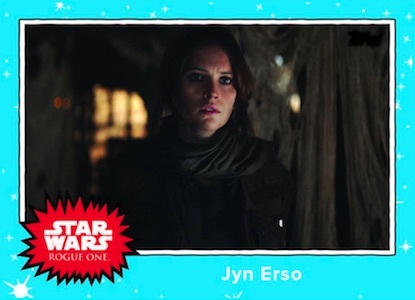 Unlike many of the other online Star Wars card exclusives, 2016 Topps Star Wars Rogue One Mission Briefing Monday is a standard-size release, measuring 2.5" by 3.5". 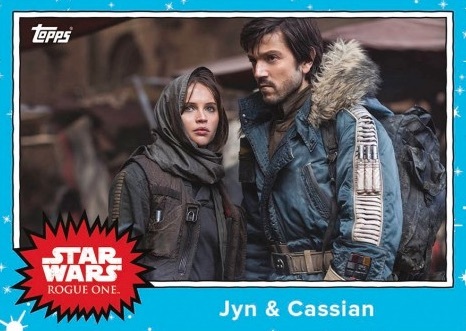 Sets will be sold each Monday for seven weeks. Specific print runs will be added below when announced. 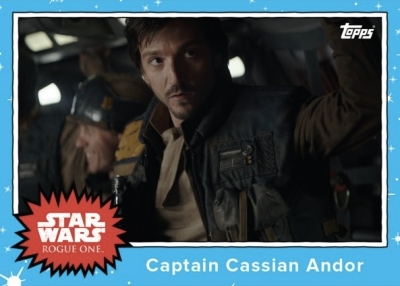 Shop for available Rogue One Monday cards on Topps. 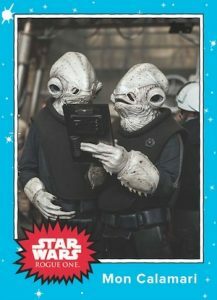 Buy specific sets online using the links below. Set 6: 12/12/2016 - Sales end on 12/19 at 2PM EST. Set 7 (Final Set): 12/19/2016 - Sales end on 12/26 at 2PM EST.